Mascara. Love the stuff. How can I not? I mean, what product, in a slender little tube is as instantly transformative as mascara? It makes your lashes look longer and thicker and makes your eyes more visible. I know few people who are willing to go without mascara. When asked what one makeup item they will put on if they have no time to get ready to leave the house, many will say, mascara. It's just that important. 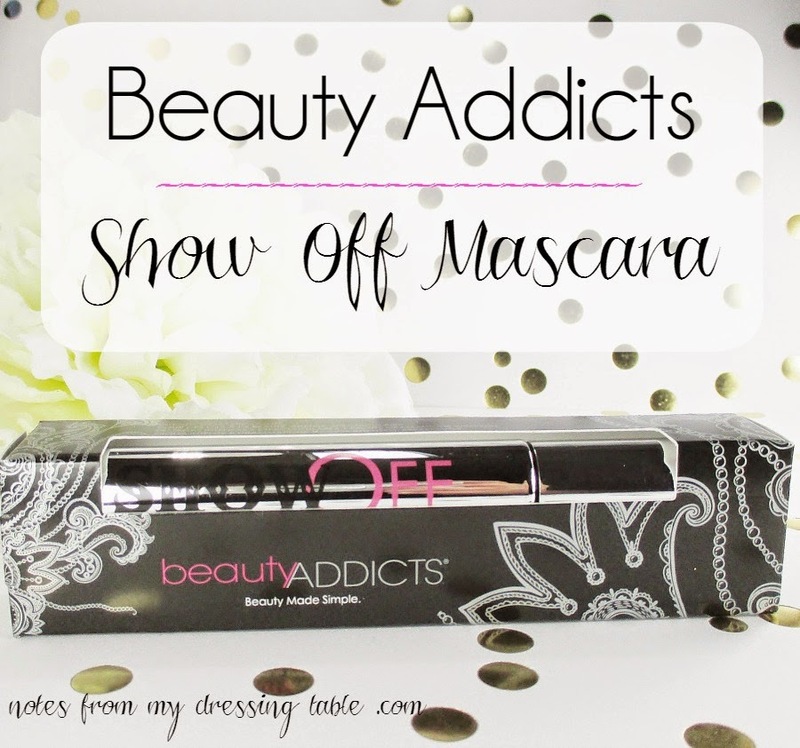 I recently got the chance to try a new to me mascara and today I am sharing my thoughts about it with you. Beauty Addicts Show Off Mascara, $22.00 claims to give the user "Intense, dramatic lashes with one easy stroke!" Does it? Let's take a look. 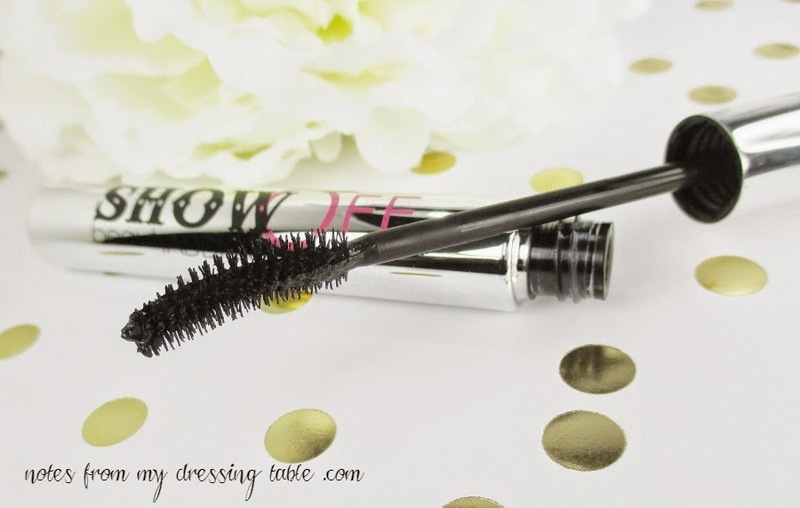 Packaged in a heavy, silver toned tube, Beauty Addicts Show Off Mascara has a deep black formula that is created to lengthen and thicken while natural argan oil protects and conditions the lashes. The unique, flat, curved wand is supposed to mimic the the shape of the eye, making application easier. The bristle wand is created to separate, lift and curl for long, thick, clump free lashes. The wand is kind of large, which I don't mind... #ilikethembig but the shape and curve takes a little getting used to. Once I got the hang of it, I found it to be very useful. I was able to apply my mascara without the customary mess I make of myself. I didn't slop any on my water line or hit the side of my nose or the top of my cheek. Flipping the wand around and using just the tip allowed me to get those elusive little lashes in the inner corners of my eyes. 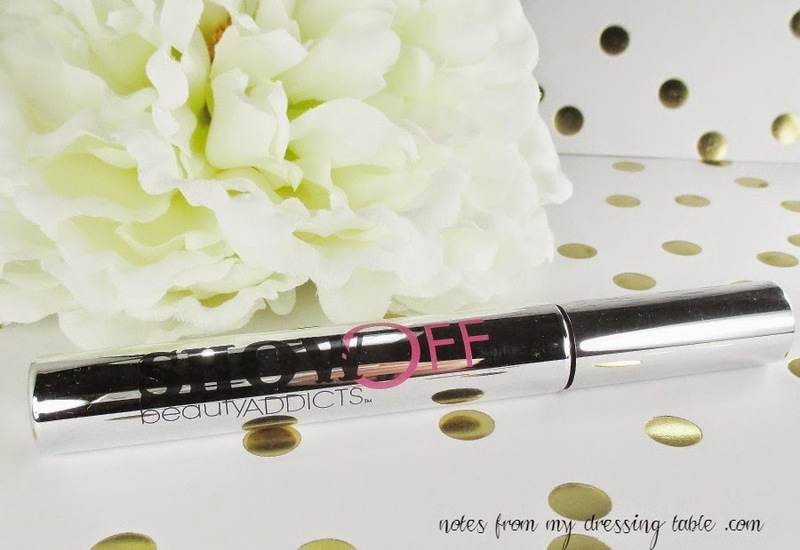 The formula is richly black and not as wet as most mascaras I normally use. It applies smoothly and builds evenly. I am a one generous coat of mascara kind of girl, I don't like to build multiple coats. I don't like how it looks on me or how it feels. This mascara, with careful application gives me good enhancement of my natural lash length and some additional thickness and fullness. I don't have any trouble with clumping or my lashes getting spidery. I don't know what would happen if I were to build additional coats because... I don't. I wore this mascara all day and for the first hour or so I was a tad alarmed, as I had a little bit of flaking. Flaking is the kiss of death with me and a mascara. After that first hour, tho the flaking stopped and I didn't see another flake. So, maybe it was an anomaly. This mascara stayed intact all day with no smearing, transferring or fading. This mascara is gentle, as well as effective. My very sensitive peepers didn't experience any irritation. Removal was easy with eye makeup remover on a cotton square. I didn't have to jackhammer the stuff off. A bonus for those of us in our decrepitude. My lashes, dressed in one generous coat of Beauty Addicts Show Off Mascara. I like it. It's good stuff and at $22.00 the price point is right in line with other high quality, mid tier mascaras. 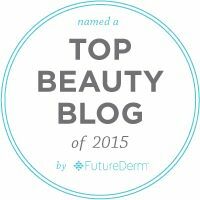 Like Beauty Addicts on Facebook, follow on Twitter and Instagram. I have tried it. I like it, but like you said the formula is a bit dryer than what I'm used to. It took me at least two to three coats to get the look I normally go for. I also experienced flaking, which isn't good for contact lens wearers like myself. Haven't tried this mascara but great to hear that your liking it. It looks great on your lashes too. hahaha it's good to know that I'm not the only one who ends up with mascara on my nose and my eyelids and sometimes my eyebrows. Hehehe :D Oh and also in my hair, just my bangs though haha. Excellent coverage. I haven't tried BA mascara but I love their glosses! 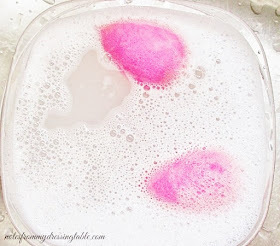 I've never tried anything from Beauty Addicts. Love how it opened your eyes up and defined your lashes. The flaky bit sounds questionable, but setting that aside this looks really nice on you. For that price point, I wouldn't want any flaking. No denying that one coat does look impressive, though. I like the big brush, also. The flaking stopped, after about an hour... I don't know if it was because it was new and had been lying on it's side and the there was some dry product on the wand? Yeah, the flaking can be a concern. It stopped, after a while. I'll use it more and do a follow up.